Christmas Tales 3 came out on the 1st of December. My children's story "An Australian Christmas," is in this one. It's an e book and can be fount on Apple books, kobo, kindle and from the Smashwords website. It's free and easy to download. I was thrilled to have my story in this one. My poem Samuel Emanuel was published in Australian children's Poetry daily post on the 28th December. It was a thrill to see it there. Tuesday the 10th of July I had the pleasure of meeting Laura Wallbridge at the launch of her beautiful picture book Elliott's rainbow Heart. The launch was at a lovely space at 520 Bourke st. in the Xplor space. What a colorful event in keeping with the illustrations by Ben Clifford. ​ Children, balloons, beanbags food. The publishers, Empowering Resources, run by the gorgeous Naomi and Jeremy Hunter did an amazing job of this event. Laura read to an amazed audience and books were purchased and signed. Elliott's Rainbow Heart follows Elliott and his obsession with blue food through the jungle in search for blue food. He becomes desperate until a beautiful peacock shows him how to find his rainbow heart. 'On Saturday the 2nd of June I attended the book launch for Heather Gallaghers latest picture book, Scaredyy cat, Illustrated by Anill Tortop. It was a lovely event at The Little Bookshop in Brunswick a great attendance and officially launched by the lovely Jen Storer. What a delight Scaredy Cat is. Beautifully illustrated in gentle hues of sage green, gold, terracotta and lime. The story is gorgeous. Scaredy Cat is scared of everything that moves,including this and that, with an adorable twist at the end we don't see coming. This Saturday 28 th April,I went to my first SCBWI get together. Although I am not yet a member, I decided to go and check it out. It was very informative and fun. We heard from Melissa Keil, in a Q and A session. She is a renowned, award winning YA author, an editor with, first of all Black dog and currently Five mile press. We learned a lot about the workings of publishing. I found her insights very informative. Kaye Ballie spoke with us about researching. I had already ordered a copy of her latest book, Message in a sock so I was more than a little excited to hear her speak on how she researched the facts about the war and the campaign to send socks to the soldiers. ​Illustrator and newby author, Jess Rackleft, spoke to us about her creative process. She was hilarious and very entertaining. I think I learned just as much as a short course. I was also a little bit star struck at some of the famous names that attended. 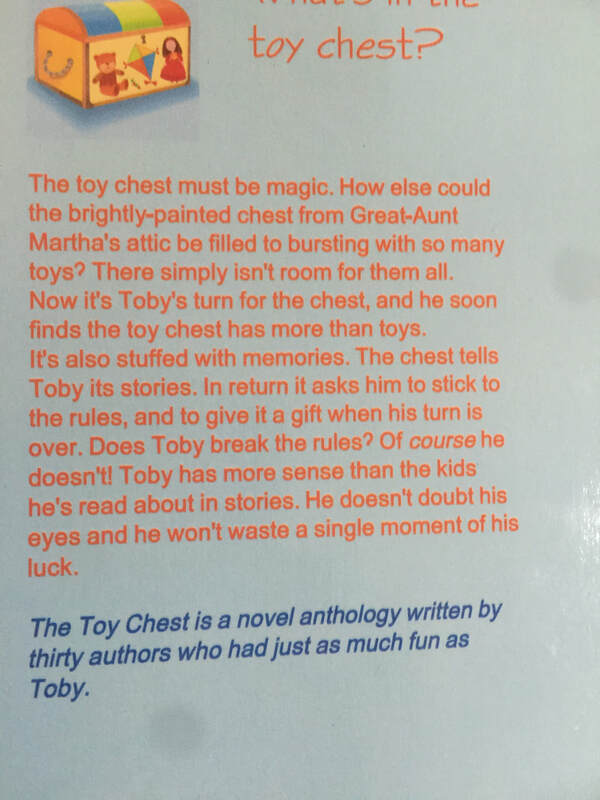 My copy of the Toy Box Anthology arrived today. It looks terrific. 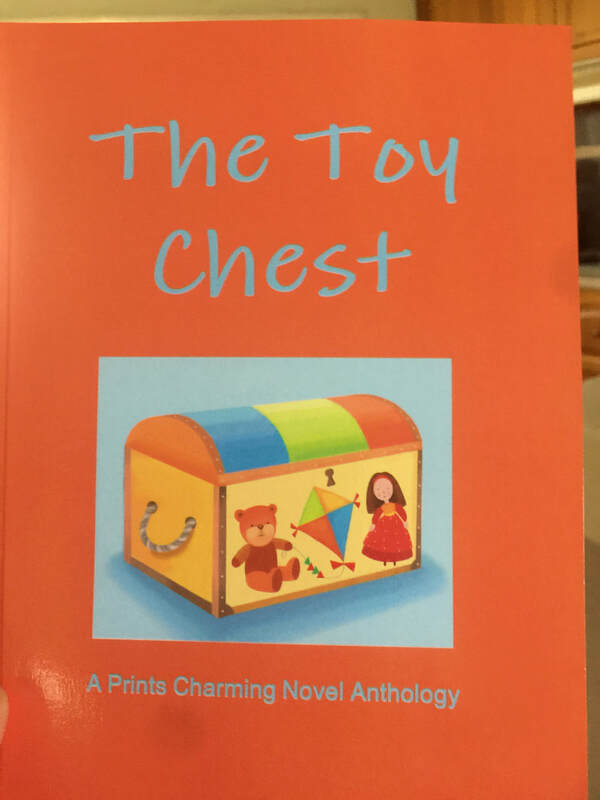 Last year a very famous and world acclaimed author, by the name of Sally Odgers, put the word out for people to submit stories or poems about toys for inclusion in a novel/anthology she was about to write. I sent mine in with no expectations and got the word that mine was to be included. I was very excited. The book is very unique in that it is a novel but with other authors work entwined in Sally's work. It looks fabulous and I am grateful and honored to have my dinosaur poem and my name alongside Sally's and the other 29 authors involved. This weekend I had the pleasure of attending a writers course with Judith Rossell. It was held at the magnificent Abbottsford Convent in Abbottsford near Collingwood, Melbourne. The venue was so peaceful and inspirational. We had a class of sixteen people of all stages of our writing journey. Judith or Jude as she calls herself was a fabulous tutor and teacher. She was positive, encouraging, kind and very unassuming for someone who is so successful as an author and illustrator. I enjoyed it immensely and learned a lot indeed.